This is new to me, there is a torsion bar built into pinions and its mechanical properties (stiffness) determines steering 'feel'. This thread about the non M3 E46s explains. I have an old 911 pinion and can see a torsion bar in it. Question: having just dropped in a purple tag rack I thought that I'd added some 'CSL' ness to her, however if the torsion bar differs, I havnt, except for the revised gearing ratio. Anybody ahead of me on this & know the whether the purple tag rack differs to CSL in this respect? Is it a CSL Part number? If not then I would say no regardless if the ratio is the same. Ive put in the std purple tag rack used on UK cars. The number ends in *679. I know this rack is used on the 330Ci Sport only (ZHP). The details of the M3 CSL rack remains unclear, however post #11 on this thread tries to throw some light on it..
Zcp/Csl are a blue tag. I thought this was common knowledge, but I suppose people mostly focus on steering ratio (and those that don't quite understand how everything works just refer to 'lock to lock'). Yes, the torsion bar is different on the blue tag CSL/ZCP racks which defines the steering feel and affects effort. This is why I spent a lot more on a CSL rack than an E46 purple tag which are all over the place. But that said, it depends on what kind of feel you like. I just kind of feel like the purple tag racks, while nice and quick, feel very light and dead; more like a video game. Some people prefer that feel (on a street car). Cheers for the reply. Ive been on the purple tag now for a few days with the toe set at zero -feels v nice, although part of the improvement is that the rack has less backlash so much reduced lost motion. Re my new awareness on how racks work and that torsion bar, I thought it alarming that the torsion bar had such a thin diameter -its critical to safety, however after opening up an old 911 pinion I can see that they build in a failsafe, ie the torsion bar twists so far then a hard stop is reached to maintain steering 'connection'. My purple tag rack has about 2.7 turns lock to lock. The old rack had about 3.2. What does your CSL original have? Then again, I have had several other ZCP owners tell me that mine has the best steering feel they've ever felt, much better than yours, so maybe I just got some freakishly perfect unit in that. The one real ZCP I drove felt pretty similar to my ZHP rack, though I didn't drive that car at length. Possible you're feeling a coupe vs convertible thing? Interesting. For racks with the same part# with identical physical dimensions (ie the hydraulic porting) the power steering feel is going to be dependent on the torsional rigidity of that torsion bar inside the pinion this is likely subject to item-item variability from the manufacturing process -maybe why you've found a goodun, better than others. 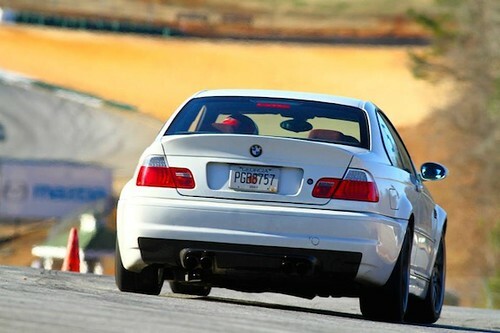 How many turns lock to lock Dave on that ZHP yellow? All times are GMT. The time now is 04:18:25 PM.